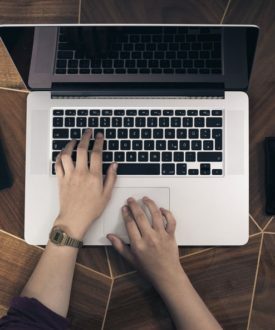 If you are here because you have an upcoming interview and you’re not sure exactly how to get ready, this is the perfect post to read and it will guide you through how to prepare for an interview. I’ll update it constantly so it holds all of the latest resources for interview preparation. Also, I’ve done plenty (maybe too many!) interviews in my career, so this advice is coming from a reliable source. 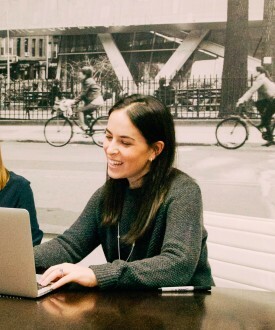 It’s important to really understand the job description for many different reasons but the most important one is that you’ll need to know it so you can successfully prove you can do the job. It is incredibly important to do your research and know about the company. Not knowing anything about where you are interviewing is a big red flag and could definitely be counted against you. The theory is, how can you know you really want to work there if you don’t know anything about the company? It’s kind of incredible how when interviewing for totally different jobs in totally different industries, the questions can still be so darn similar. They’re called “common” interview questions for a reason… It’s because they are almost always asked in one form or another. This is an area where there are many resources – and you should use them! 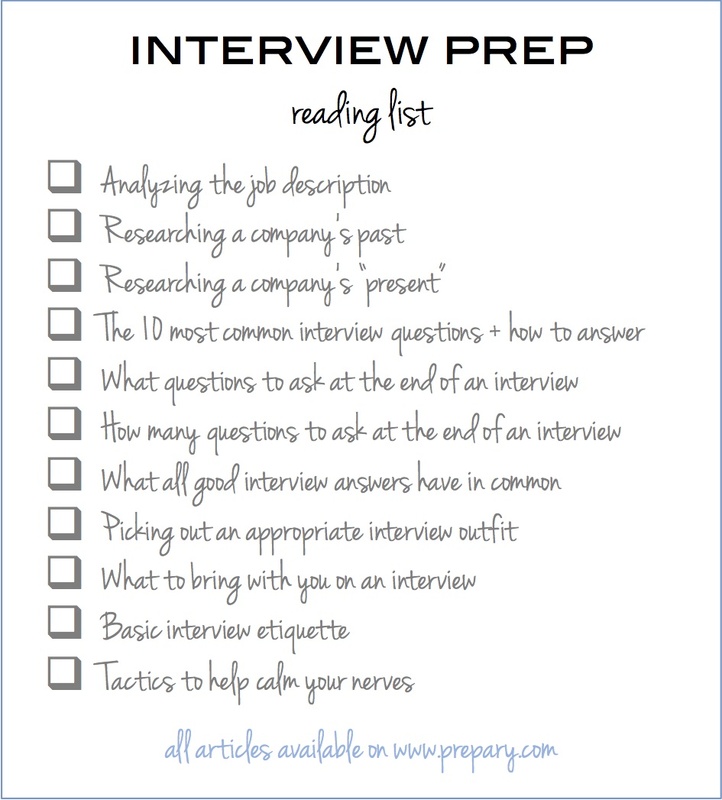 Hopefully this checklist will be a great resource for you as you prepare for an upcoming interview. Look out for additional checklists for other parts of the job search and interview process in the near future.